Every 15th of each month at 12 o’clock sharp Paris time, we will post a photo according to a theme defined by one of the members of the French Facebook group called Photo of the Month, consisting of worldwide amateur bloggers and photographers. This is for us a nice occasion to rummage about in our archives full of beautiful pictures or even rack our brains to take a new snapshot. This month, the theme is homeostasis proposed by the blog Homeos-tasie. Not easy for a first participation and above all… What does that mean? Well, it refers to the capacity of a system to maintain its stability thanks to various factors and to resist to any kind of disruptions. In other words, the theme can be understood as a “state of equilibrium” or “harmony”. 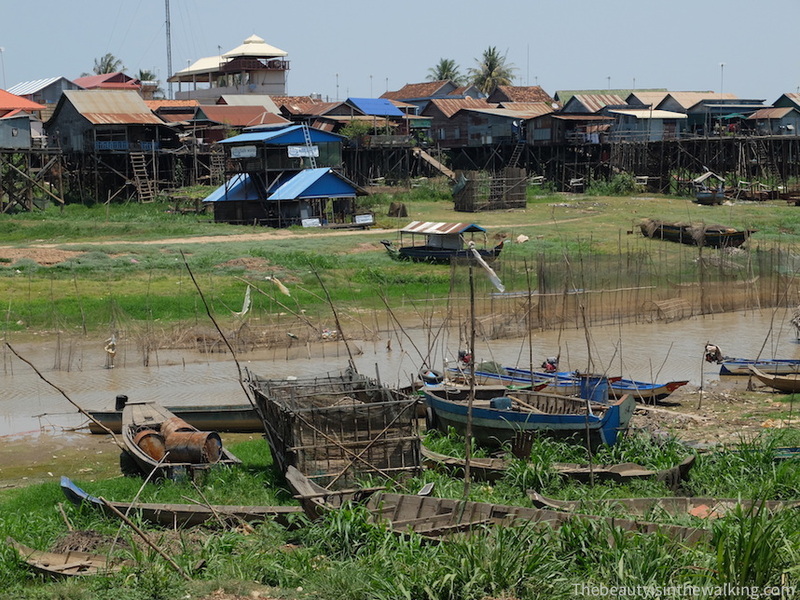 It made us think right away of Kampong Khleang, an amazing village located on the banks of the Tonlé Sap Lake in Cambodia, where we stopped by in April 2015. It lives in perfect balance all year long by adapting itself to changes brought about by the seasons, as the Tonlé Sap Lake is like an overflow of the Mekong River. The lake fills up with water during the rainy season and it gradually empties the rest of the year. Consequently, it multiplies its surface by four and its depth by ten. So, the villagers live half of the year on the water from fishing and the other half on earth from cultivating the soil gone dry, which has thus become very fertile. To know more about it, read the article (only in French). Check out all our participations to the Photo of the month by clicking on the image below. What do you think about our participation for this theme? Share your thoughts by writing a comment below!